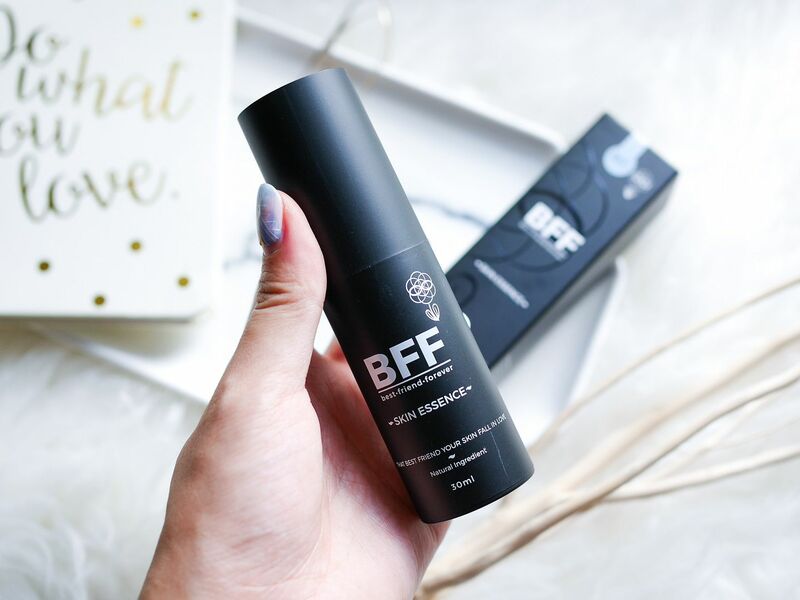 [Review] BFF all-in-one Skin Essence | Your BFF to your skin! I am a fan of facial mist. I find it very handy whenever I need to freshen up at any point of time. 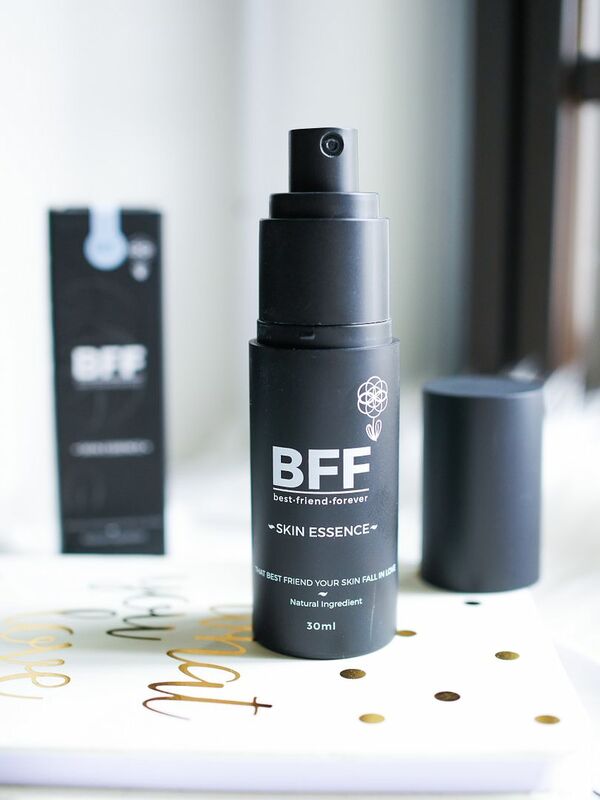 Recently, I was given the BFF all-in-one Skin Essence, which comes is a mist bottle. 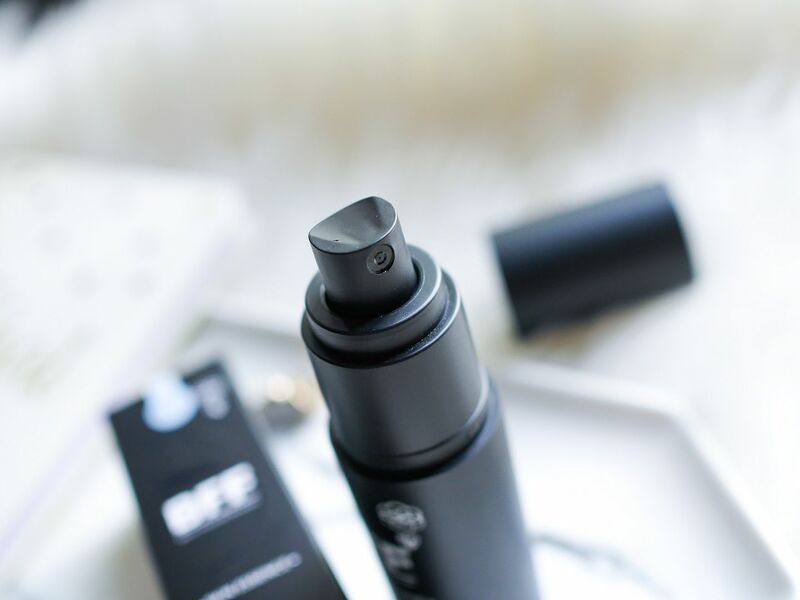 I take this as an added bonus to combine essence and mist together, so that I can mist my face with quality facial essence to moisturise my skin throughout the day. 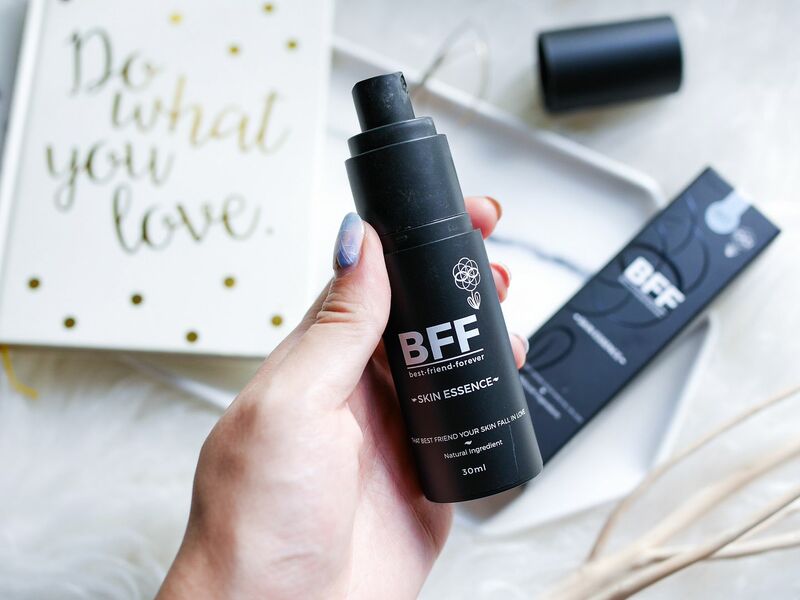 BFF all-in-one Skin Essence comes in a matte black container at 30ml, which makes is handy to keep in ladie's small purse/bag. 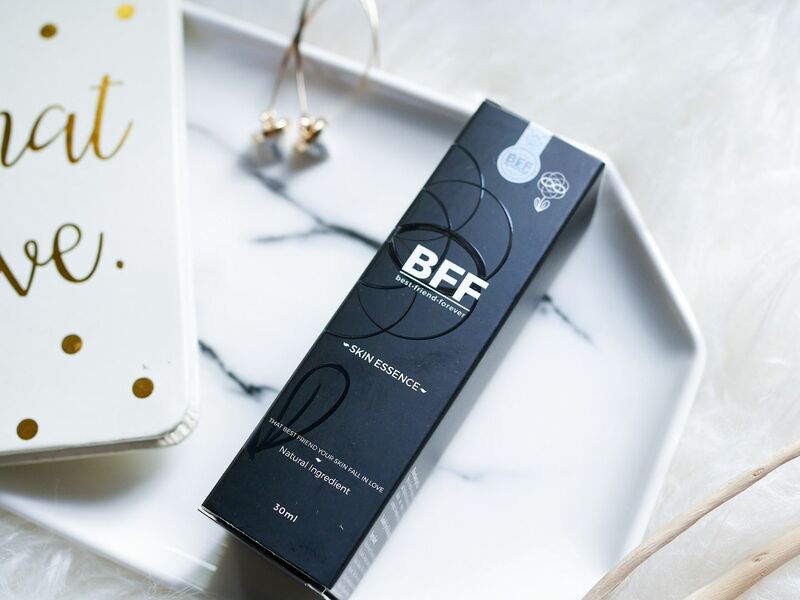 I understood from the site that the BFF all-in-one Skin Essence is manufactured using nanotechnology so that ingredients can penetrate deeper into skin. 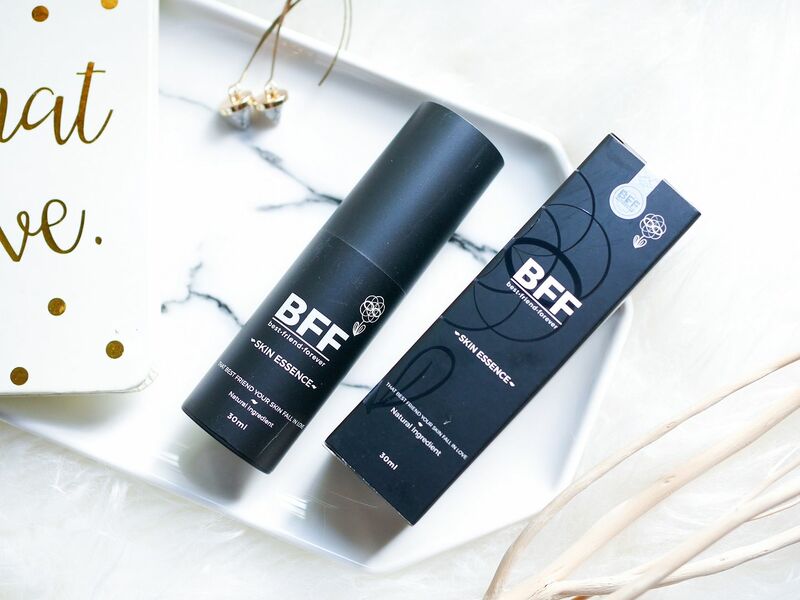 That means, the essence is made of nanoparticles (particles between 1 and 100 nanometers in size) which allows better absorption. Mist sprayer bottle is also used so that it's easier to apply. A simple spray and pat dry - you're done! The main ingredient is Glycerin, which is often found in skincare products for its moisturizing properties. 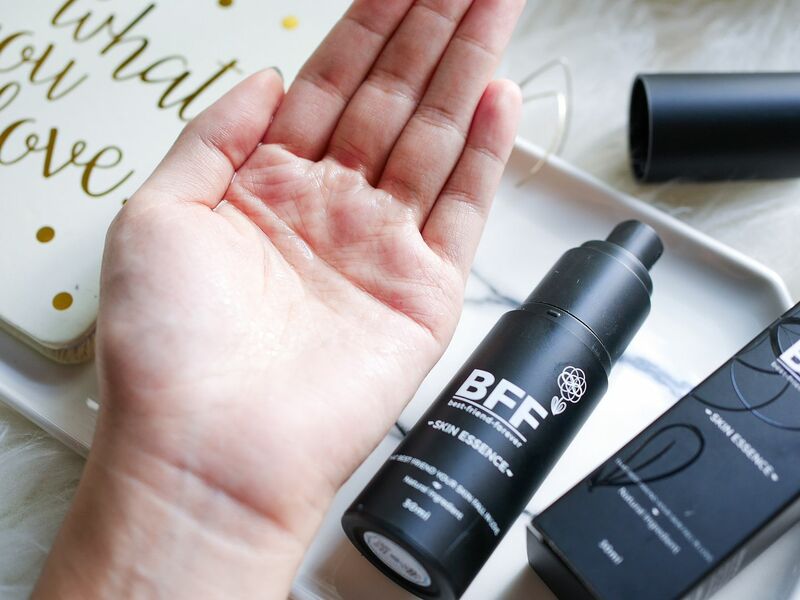 Spray directly on skin in morning and night after cleansing. Wait for about one minute to allow complete absorption or pat in. 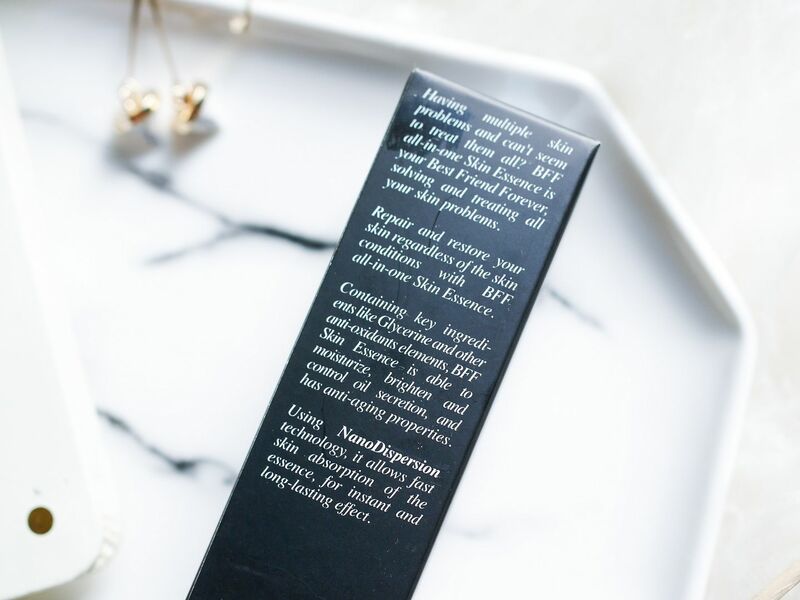 This essence feels just like water. Well, I wouldn't be surprised since water is the first in the list of ingredient. The good thing is, this product is actually 3 functions packed into 1 bottle. 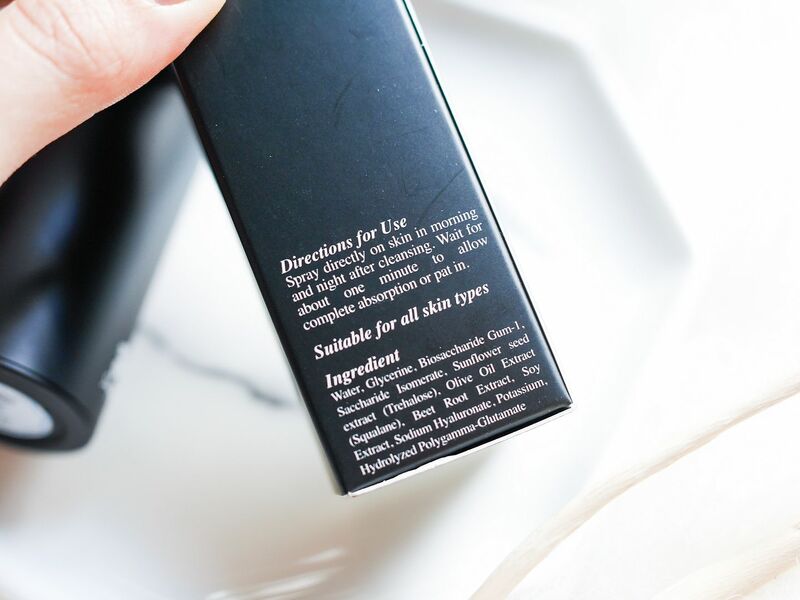 It's not just a serum, but also a toner and moisturiser. 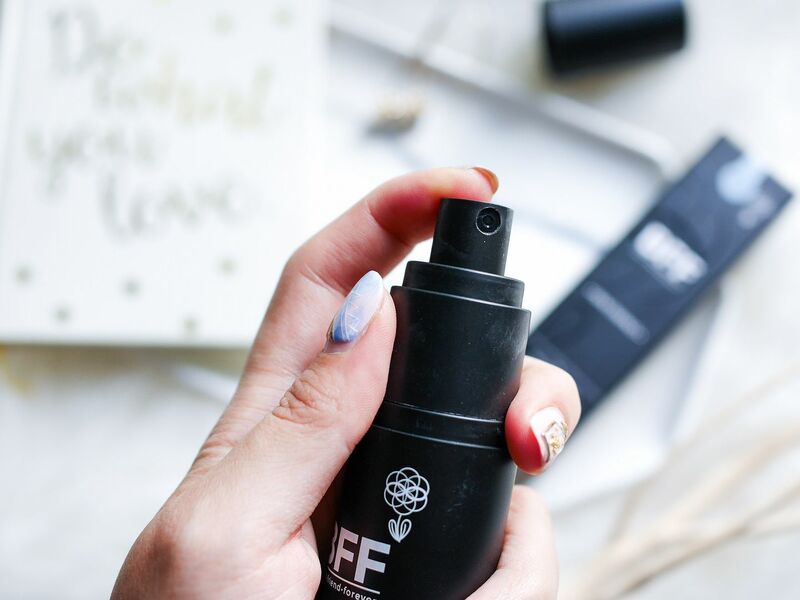 I also liked that it's odourless and as refreshing as spraying your face with water, so I tend to spray more often than usual to keep my tired skin energised. Proud to say this is a product developed in Singapore! 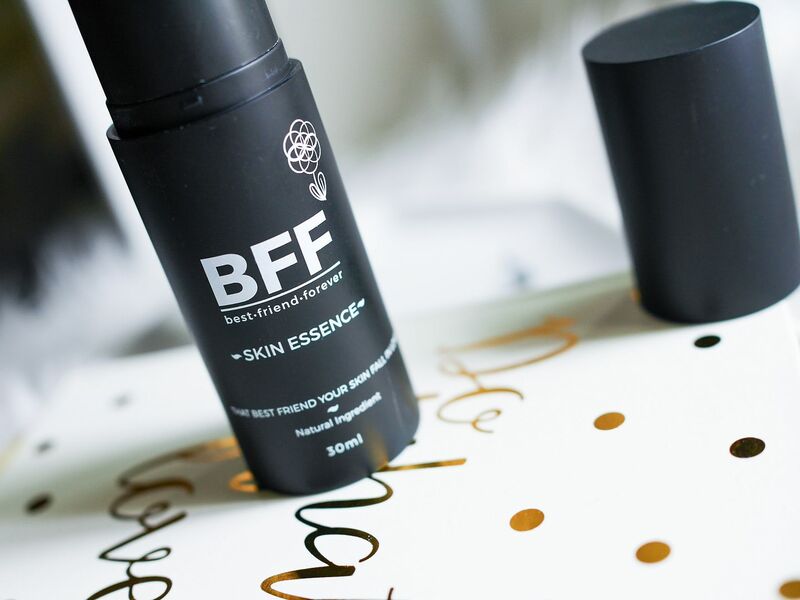 If you are interested in BFF all-in-one Skin Essence, you can also join their BFF memberships. 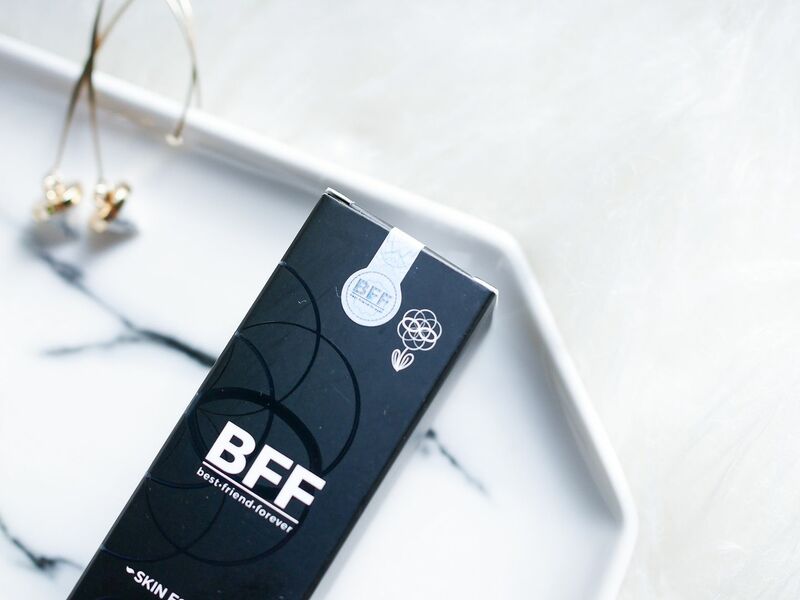 By signing up for an account with BFF, you will automatically qualify as a BFF Friends member, which entitles you to a discount of 3% off all product purchases (not inclusive of products already on promotion and also not applicable on Shipping Fees). 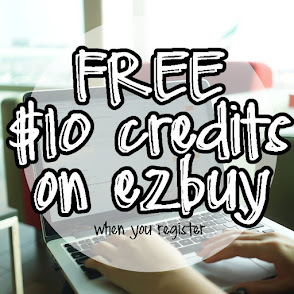 To get the item at 50% discount, you can use the code "CCPROMO50". 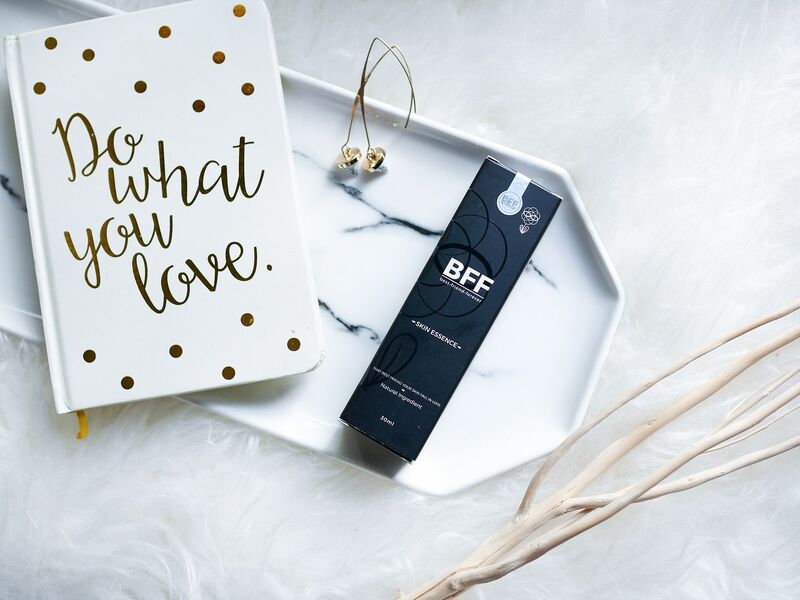 For more, visit BFF Skin Essence website.